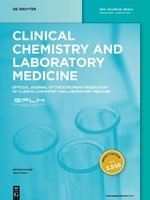 A new NEPHSTROM study has just been published in the Clinical Chemistry and Laboratory Medicine (CCLM): “Defining reference intervals for a serum growth differentiation factor-15 (GDF-15) assay in a Caucasian population and its potential utility in diabetic kidney disease (DKD)” by Siobhan M. Hamon, Tomás P. Griffin, Md Nahidul Islam, Deirdre Wall, Matthew D. Griffin, and Paula M. O’Shea. Background: Growth differentiation factor-15 (GDF-15), a stress-responsive cytokine, is a promising biomarker of renal functional decline in diabetic kidney disease (DKD). This study aimed primarily to establish normative data and secondarily to evaluate the potential utility of GDF-15 in DKD using Roche Diagnostics electrochemiluminescence immunoassay (ECLIA) in an Irish Caucasian population. Methods: Following informed consent, 188 healthy volunteers and 128 participants with diabetes (72 with and 56 without DKD) were recruited to a cross-sectional study. Baseline demographics, anthropometric measurements and laboratory measurements were recorded. Blood for GDF-15 measurement was collected into plain specimen tubes kept at room temperature and processed (centrifugation, separation of serum, freezing at −80 °C) within 1 h of phlebotomy pending batch analyses. Reference intervals were determined using the 2.5th and 97.5th percentiles for serum GDF-15 concentration. Conclusions: The reference interval for serum GDF-15 in a healthy Irish Caucasian population using Roche Diagnostics ECLIA was established and a preliminary determination of the potential of GDF-15 as a screening test for DKD was made. Further prospective validation with a larger DKD cohort will be required before the cutoff presented here is recommended for clinical use.